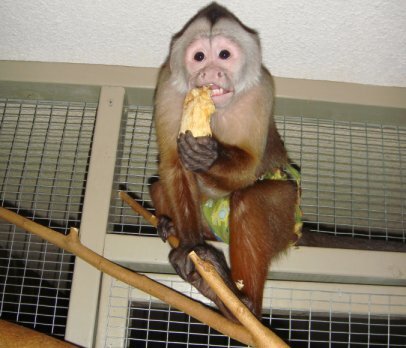 One of the favorite foods Benji, our capuchin, loves to eat are fresh mangos. What I didn’t know until recently was that the seeds of a mango are nontoxic and can be eaten. Simply dry the seed for 1 to 2 days before giving it to your monkey. Another great way to keep your monkey busy for a while. Dried mango seeds are a great enrichment item. Benji loves it, maybe your monkey will as well?